Add the royal touch to the your visit to the Costwolds by visiting Highgrove Gardens and private home of His Royal Highness The Prince of Wales and The Duchess of Cornwall. Just steps from Tetbury, you can have the opportunity to visit the gardens of this beautiful estate. Since the arrival of Prince Charles, the house and the gardens have been evolving with innovative techniques with organic gardening and farming. Several themes make this tour unique form a wild flower meadow with about 30 different native plants to The Walled Kitchen Garden growing vegetables like charlotte potatoes, spring cabbage, brussel sprouts and carrots. No tour is complete without a visit to the Orchard Restaurant where seasonal dishes are prepared by in-house chefs and cooked with organic local ingredients. If you are planing to take a tour of Highgrove House Gardens, here are some quick tips you should know before arrival. Guided tours will take about 2 hours (but plan for 3 hours) and groups are sets of 26 people. Tours and the gardens are closed during the winter months. You can buy your tickets ahead of time as early as February, as you can’t access the garden without a pre-purchased ticket. 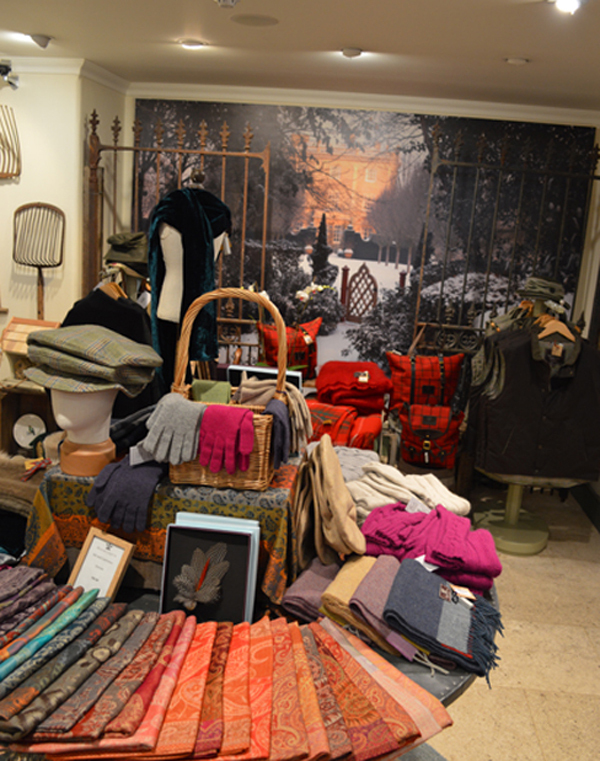 The Highgrove Shop maybe be a quick stop to shop from chocolate to organic teas to great fashion. With locations in London, Tetbury, Bath, and Windsor, make sure to add this stop while traveling the United Kingdom. All profits from the sale of Highgrove products are paid to The Prince of Wales’s Charitable Foundation.